Just wanted to give a little warning that I will be catching up on Reading List Summary posts, so those who read through Reader may have a lot of posts backed up today (sorry, I got way behind). I am back dating the posts, so those who visit the blog itself should only see December. I also wanted to show off my new library bag. Because it might just be my favorite thing ever. I can't say for sure (although it is right up there), but I do know I got super spoiled this Christmas! that cracks me up every time i see it! Wow, those squares are spectacular! They make me want to run out and learn to Crochet (which is saying a lot! ), and what a great cause. 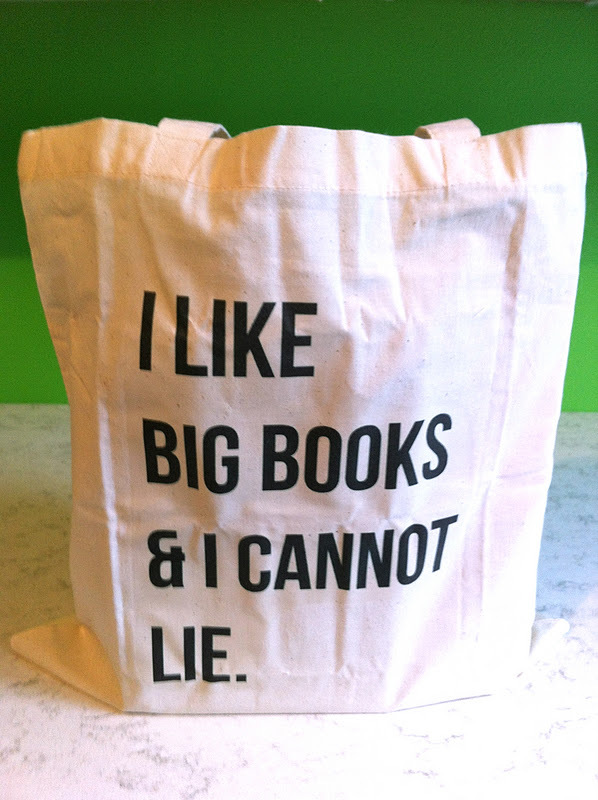 Love your book lists, and the bag? Awesome.